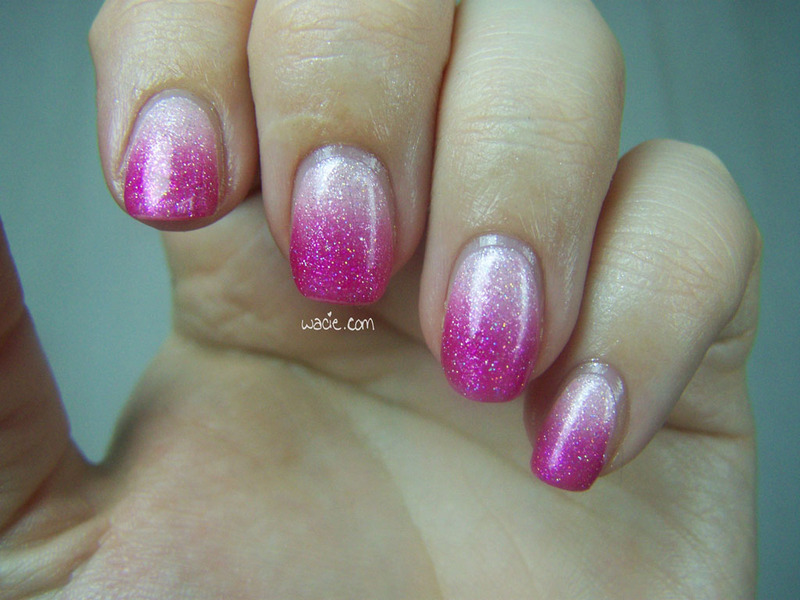 It’s been a while since I’ve done any kind of nail art, so I did a gradient for Mani Monday. Gradients are my favorite; it’s such a cool look and so little effort. This gradient turned out way better than I expected. My gradient colors are Julep’s Audrey and Sinful Colors’s Forget Now. 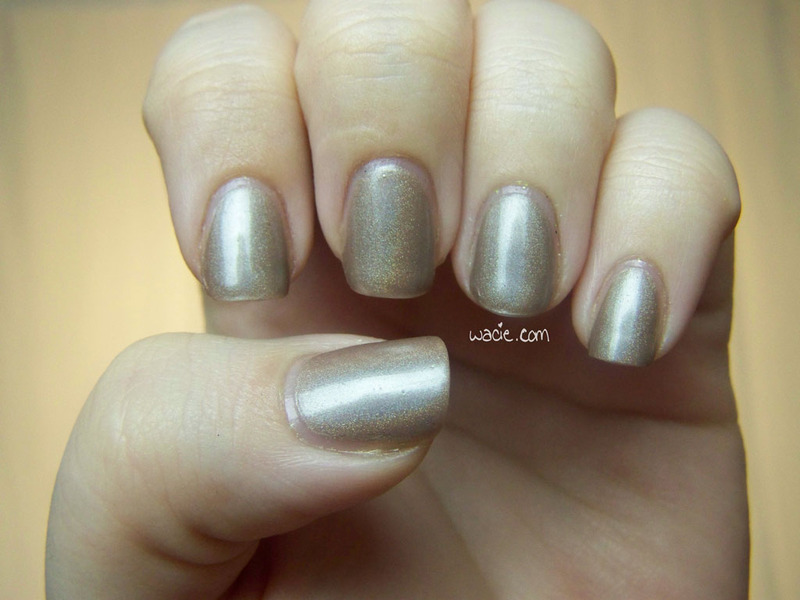 Both colors have pretty shimmer, but are quite sheer; nail lines are visible under two coats of both. 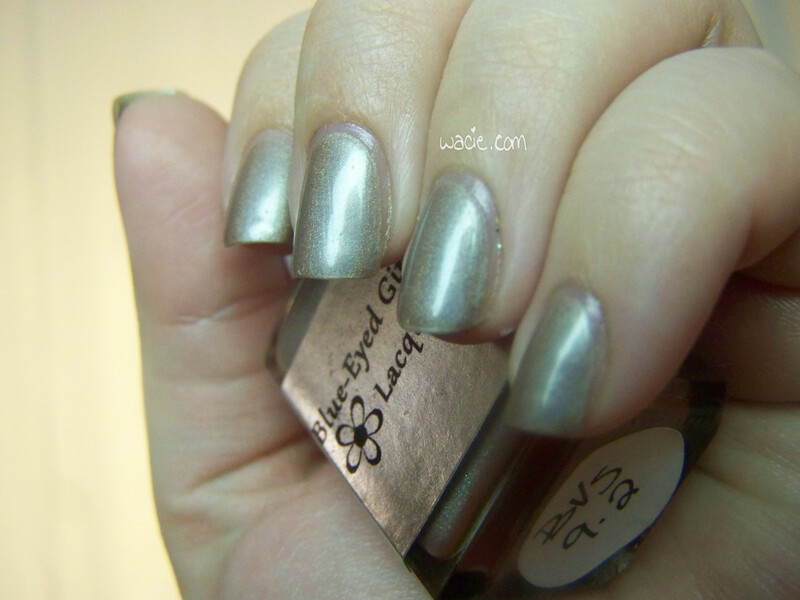 Audrey has a soft silvery shimmer; Forget Now’s shimmer is the same color as the polish, which is enough to give it some shine. I knew these would make a gorgeous gradient because they’re so much alike, and yet so different. Then I got carried away. 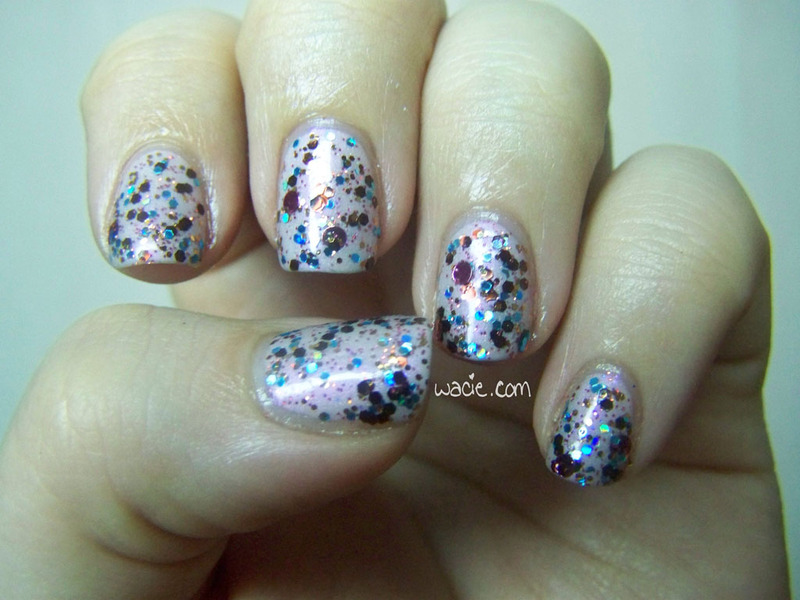 The baby holo glitter here is China Glaze’s Fairy Dust, and it was only supposed to be an accent on a couple of nails. I decided it looked funny on so few nails and just put it on all the rest. 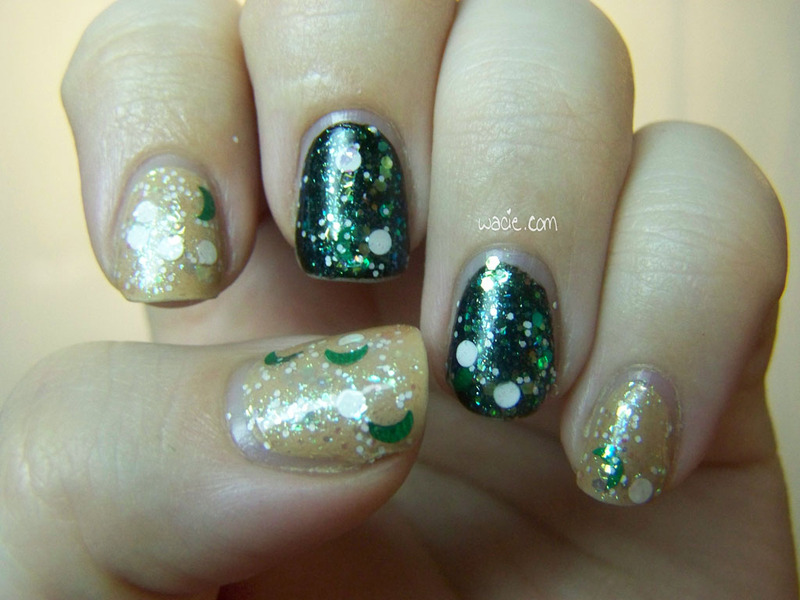 It’s even more glitter on top of an already really sparkly manicure, but I think it works. 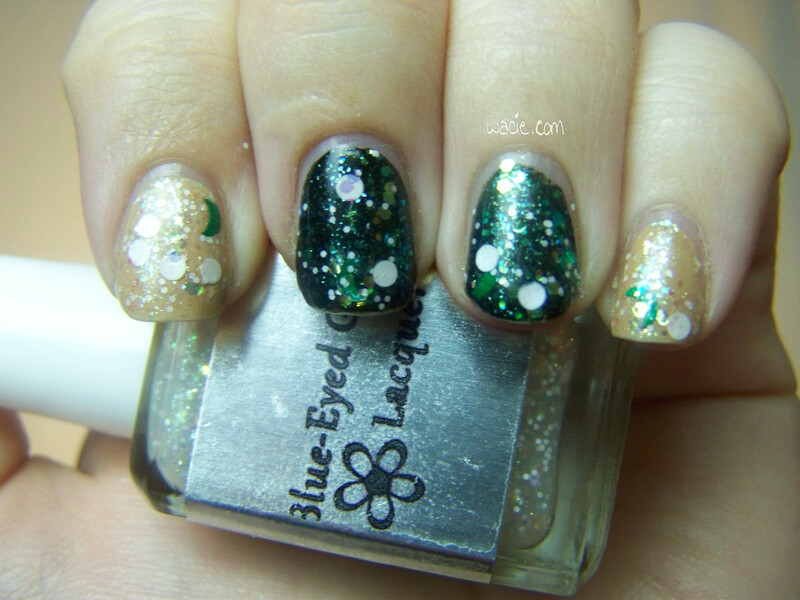 I don’t feel like there’s too much going on; the fine glitter adds something extra to a beautiful gemlike look. Because I couldn’t resist, I added an outdoor photo. This is incredible in the sunlight. I can’t even tell you. 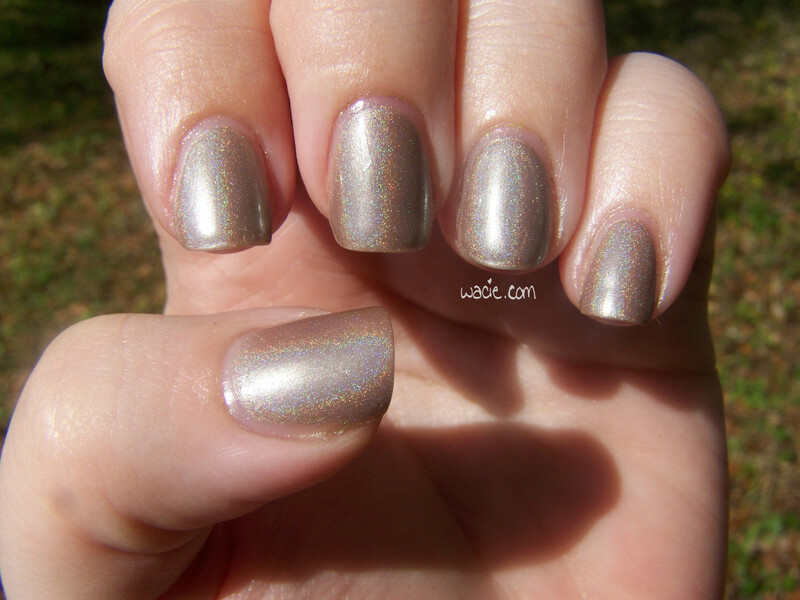 I am really excited to show you my weekend swatch. Walk Through the Tulips is a custom I ordered from Blue -Eyed Girl Lacquer; I was wearing First Frost some day several months ago and thought “I wonder what you look like in pink”. While I was warned it would not be an exact dupe of First Frost, I don’t think it could have gotten any closer. I am so pleased with this. I’m wearing three coats of it (no undies) with two coats of Seche Vite. Walk Through the Tulips is a white crelly with various shades, shapes, and sizes of pink glitters. I adore it. I don’t even know what else to say. 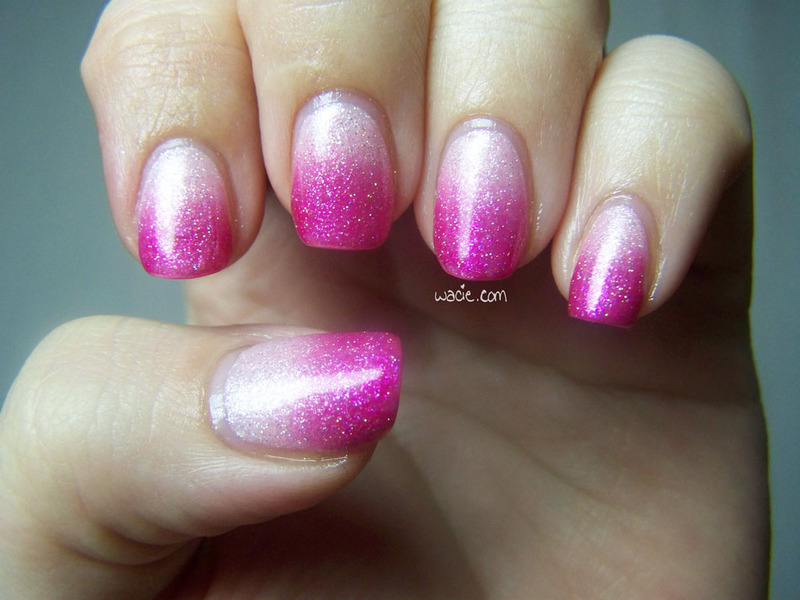 It has everything I love: pink, glitter, pink glitter. I like the dimension created by the layers of glitter. I don’t think I’ll ever get over these white crelly polishes. They always turn out so nicely. As I said, I ordered this as a custom polish, so I don’t know how many are floating around out there aside from this bottle. BEGL does accept custom orders, so order your own or something else. 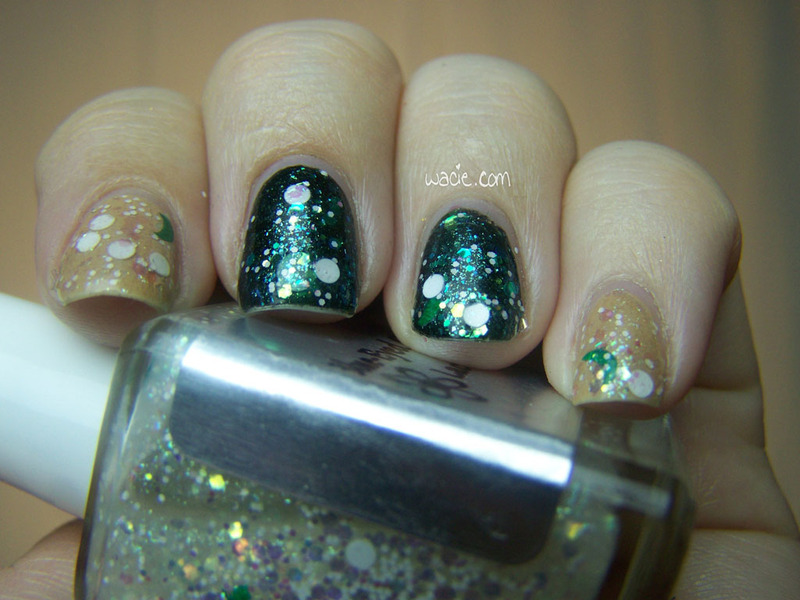 This week’s Wacie Wednesday features a fun little experiment I’ve been calling Shimmerkiss. It’s a juicy pink crelly with pearly green microflakies. I’m wearing three coats of it as per the DIY Gel method outlined here. 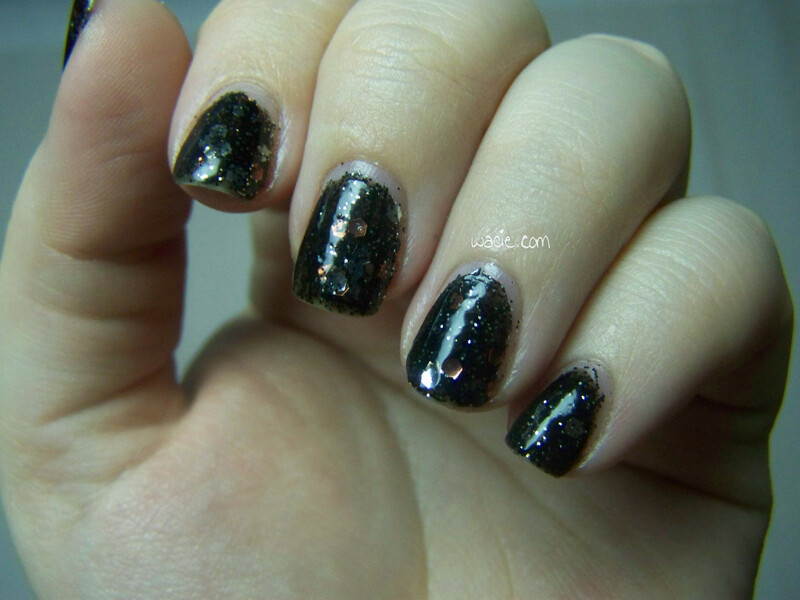 I really like this, but it kinda came out weird on my nails, like even after all those layers of Gelous and Seche Vite, the flakies ate it all. It’s not shiny; it’s smooth, but satiny matte smooth The glints you see in the photos are not from top coat, but from the flakies. It’s still pretty, but next time I will definitely not use the Gelous method with this polish. There’s way more glitter here than I thought there would be; the formula was thick and could have been easier to apply. I may end up taking this one back to the drawing board before I start making it in batches. 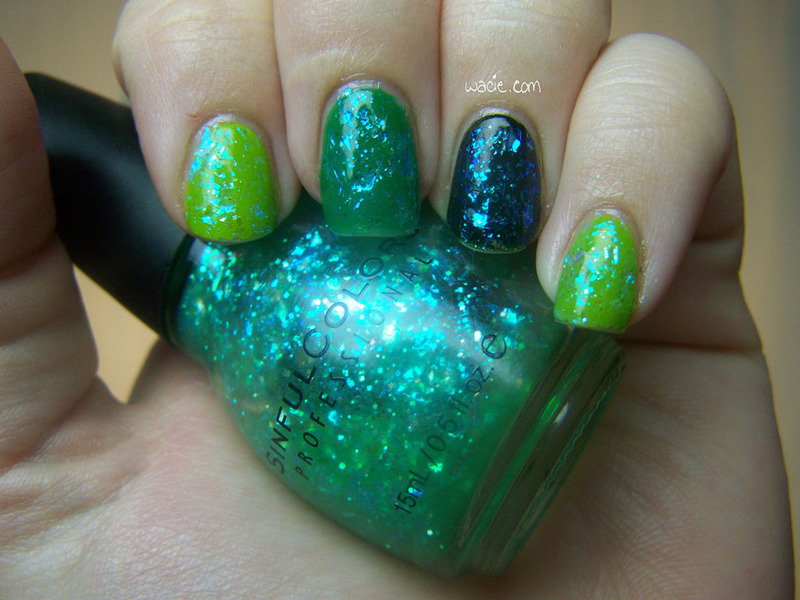 It’s Manicure Monday again! 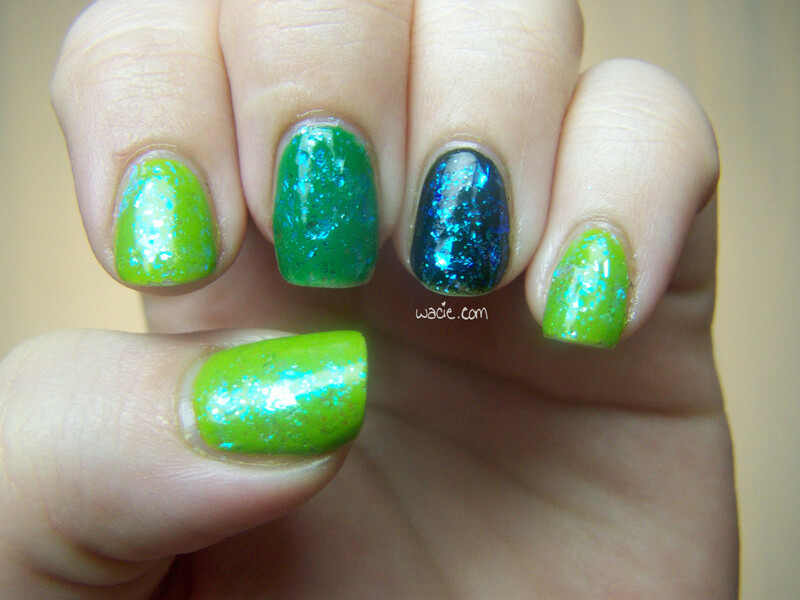 This week I’m wearing Green Ocean from Sinful colors over various greens. At least, they were green before I started. 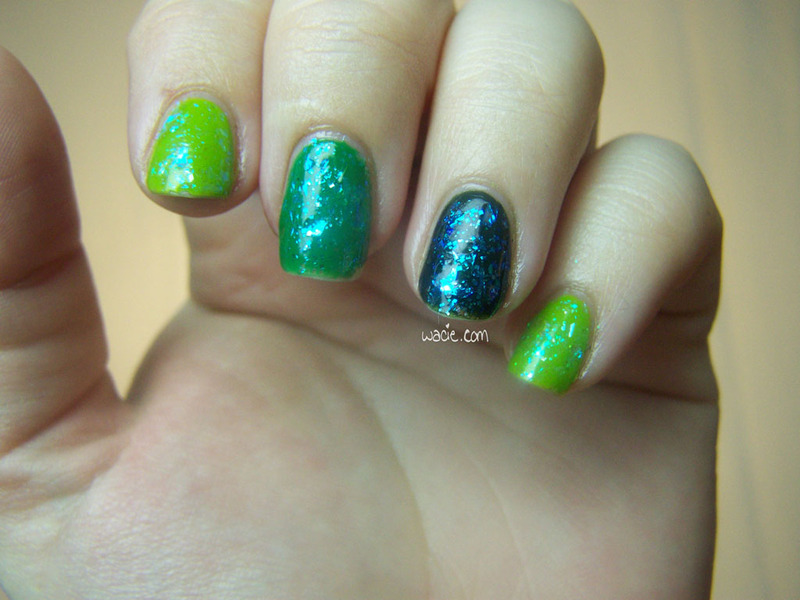 This is one coat of Green Ocean over two coats of Julep’s Fiona, Revlon’s Posh, and Zoya’s Envy. Green Ocean is a ton of iridescent shred and hex glitter floating in a green-tinted base. As you can see, depending on the color it’s layered over, the glitter looks different, as is the case with most iridescent glitter. Over the yellow-green Fiona, the blue color is the most obvious. Over Posh, it’s the darker blue-to-purple. 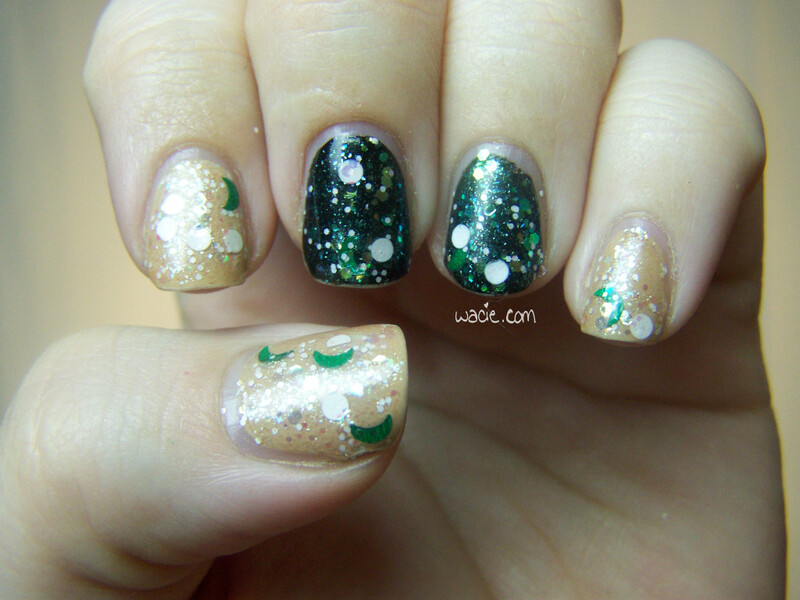 Over the dark Envy, the shape of the glitters is more defined. Shredded glitter sometimes stands up and doesn’t lay flat on the nail; I used two coats of Seche Vite to smooth it down, but I still have some bumps and points from it. 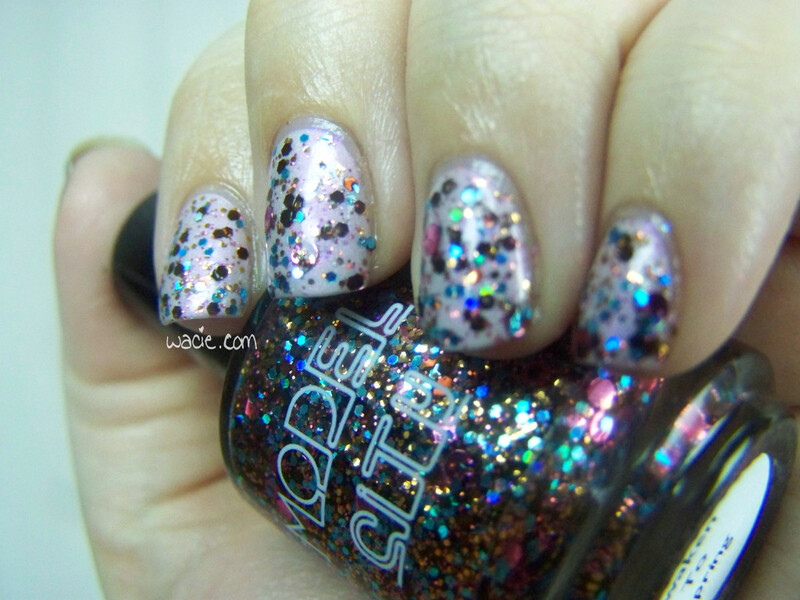 Despite that, this is still one of my favorite glitters. 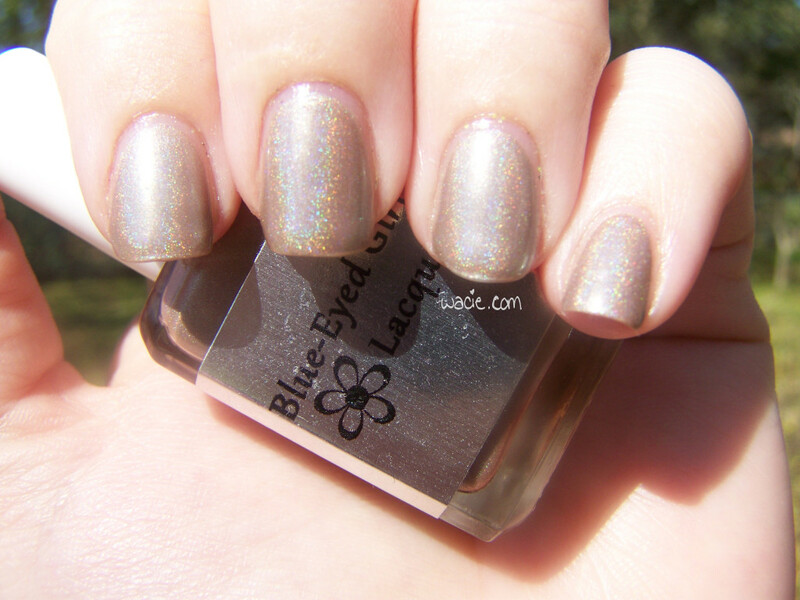 You can tell by looking at the bottle; I’ve had this bottle for years, and even though this is it’s first time on the blog, it’s a pretty well-loved polish. A quick word to the other polishes I used: Julep’s Fiona is a yellow-green with good coverage; it dries to satiny finish. Revlon’s Posh dries with a beautiful shine, but remains still a bit translucent after two coats. Zoya’s Envy is so dark it may as well be black, but it looks great after two coats .The colors do appear a little different after applying the glitter coat, and I can’t tell if the green tint of Green Ocean is strong enough to change it, or if it just looks different because of the glitter. 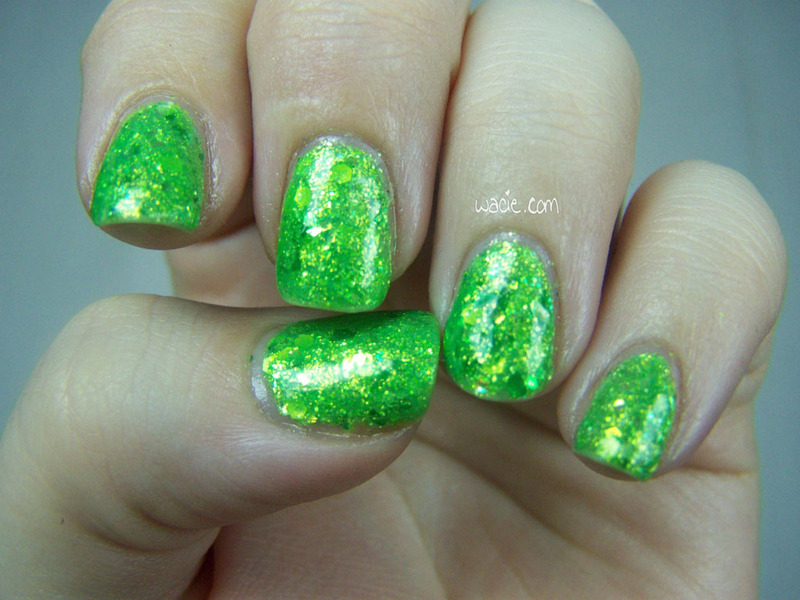 Either way, these nails are totally blinding in the sunlight, and they’re a ton of fun to wear. I know the last day of spring was last week, but this is probably the best spring manicure I could have hoped for. This Swatch Saturday is a nice change of pace. I don’t own many holos, so I’m a little excited that one ended up in the rotation. Everybody knows I love glitter like nothing else, but it’s a little refreshing to use something that’s glassy smooth and wasn’t difficult to clean up. 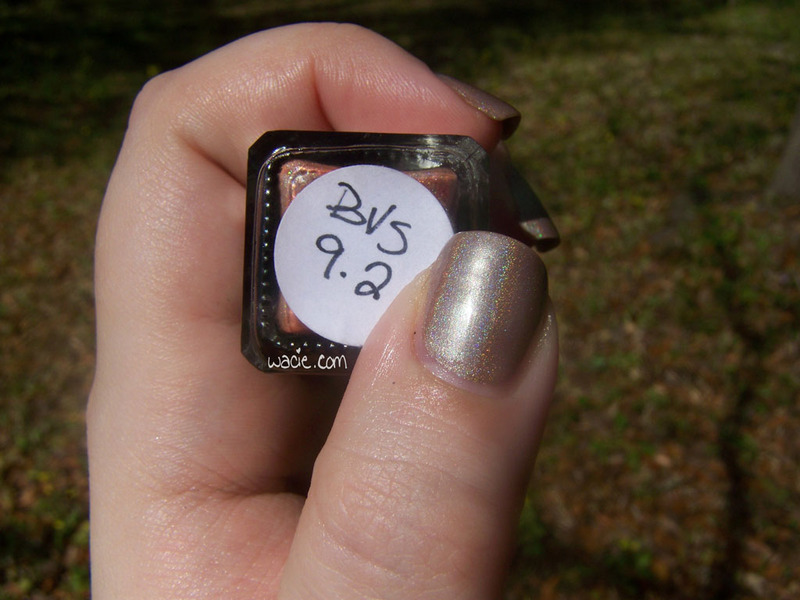 Today, we’re looking at another Blue-Eyed Girl Lacquer prototype called BVS9.2. I’m wearing two coats of it and two coats of Seche Vite. 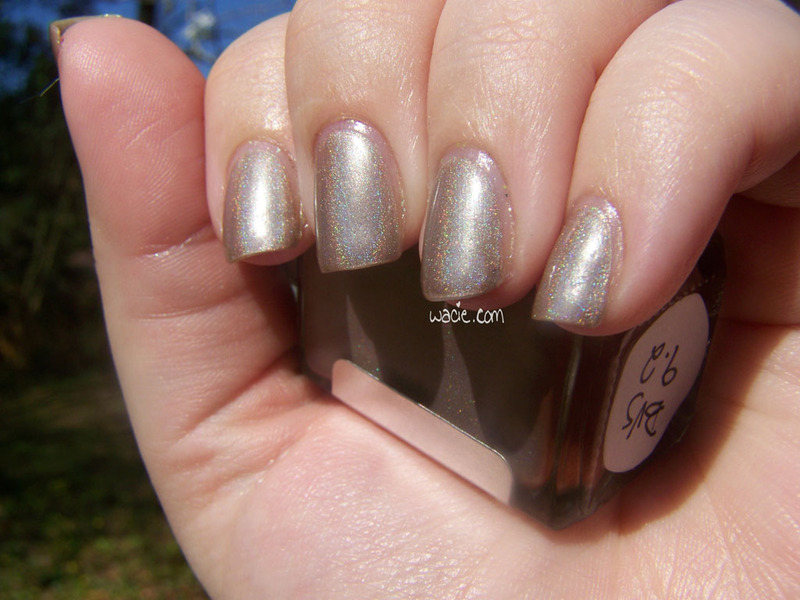 BVS9.2 is a cool taupe holo with some green shimmer. It goes on easily and beautifully, and dries quickly. I love wearing it. I don’t have a lot to say about this one, but I have tons of photos. Just let the rainbows do the talking. The following set of photos were taken indoors with softbox lighting. It finally stopped being gray and cold and disgusting outside, so I took a set of photos in natural sunlight as well. As you can see, the holo effect is much stronger outside. It’s a rainbow explosion! Honestly, I don’t know why I don’t have more holos. The effect can be absolutely stunning, and it’s an effect that can’t be achieved through glitter alone. I hope I’ll be wearing more in the future. 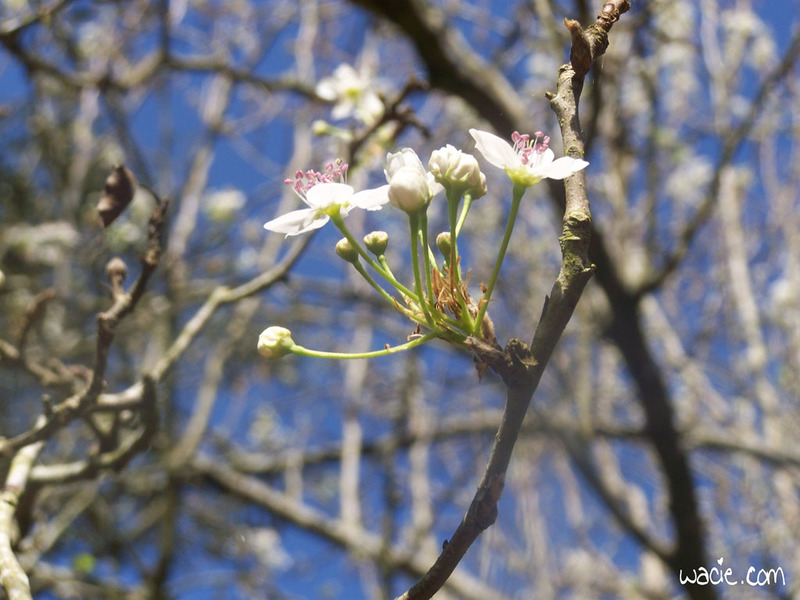 Because it’s a gorgeous spring day, here’s a picture of some of the flowers I was standing under while I was taking these outdoor shots. They were too pretty not to photograph. 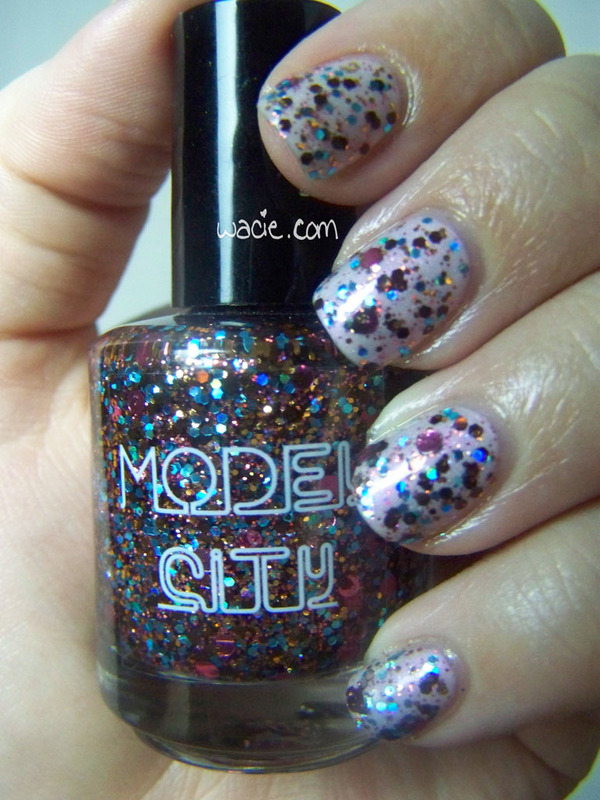 My weekly Wacie Nail Company post got pushed back to make room for yesterday’s Model City review. It’s worth the wait. 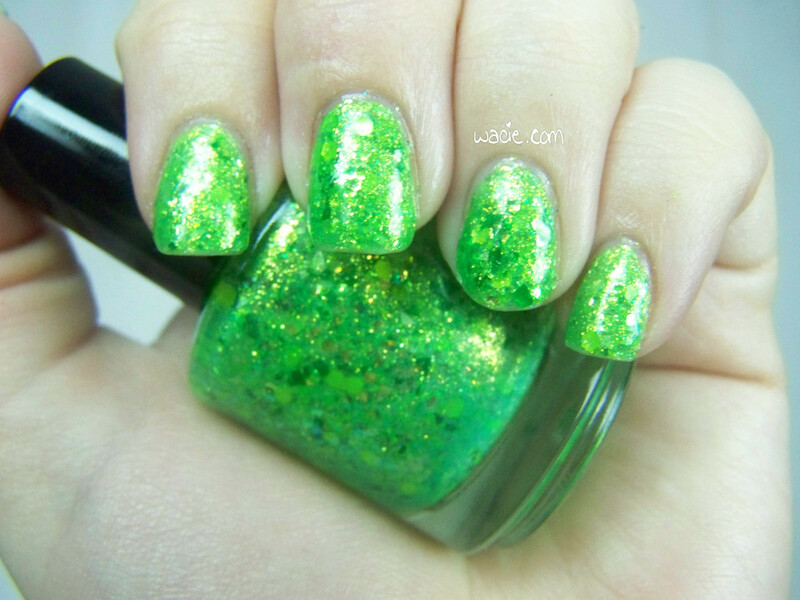 Key Lime is a full coverage glitter polish; there’s tons of neon green and iridescent glitters, dark green and light green shreds, and gold-green shifting flakies. I’m wearing two coats of it here with two coats of Seche Vite. I love this. It’s stunning, brilliant, sparkling. The funny thing is is that it came together completely by accident. I was goofing off in my workshop, just mixing glitters at random into lacquer base, and it just happened. 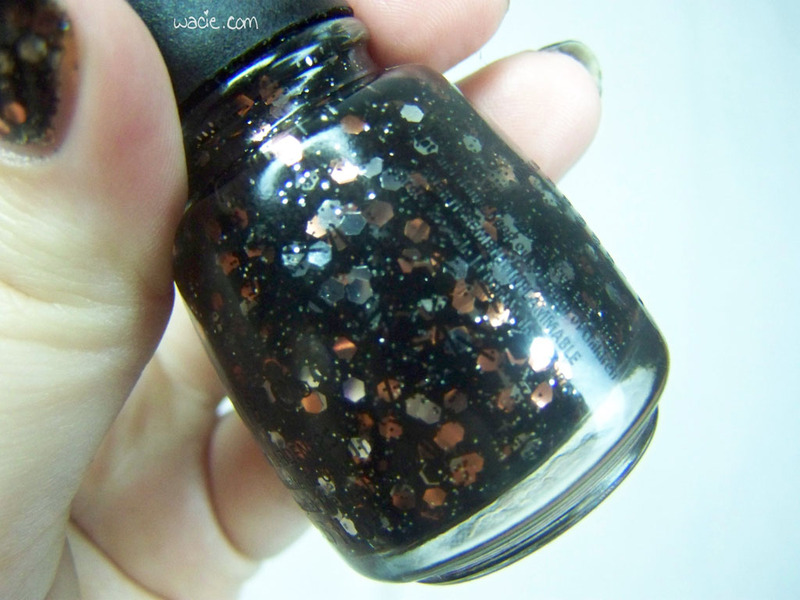 I shook it up, I swatched it on a test nail, and then I heard angels singing from heaven. Actually, it was probably a car full of teenagers and thumping bass, but you know where I’m going with this. This is either the happiest accident in the universe or fate brought these glitters together and put them in my hands. Maybe I’m exaggerating, whatever. 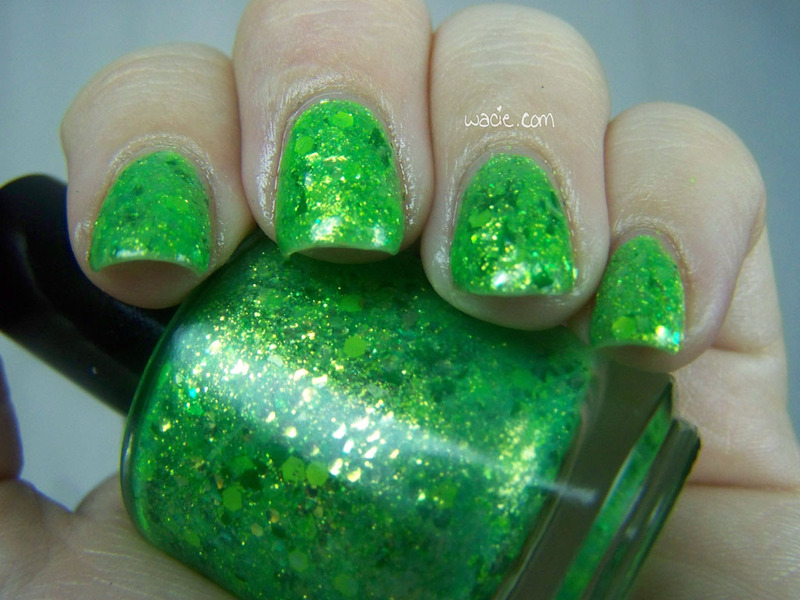 In any case, Key Lime is a gorgeous polish, and it will be available soon! 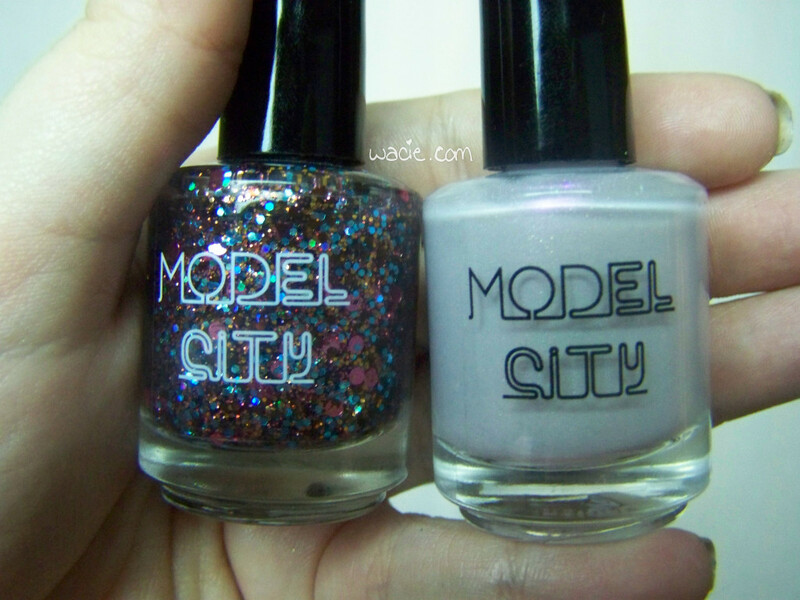 Today is an exciting day, because I’m sharing with you two brand new polishes from Model City’s upcoming spring collection. I’m super-thrilled to have the privilege to share them with you before they officially launch on March 22. These polishes were supplied by Model City Polish, but that doesn’t affect or influence my opinion on them at all. Having said that, let’s check it out. 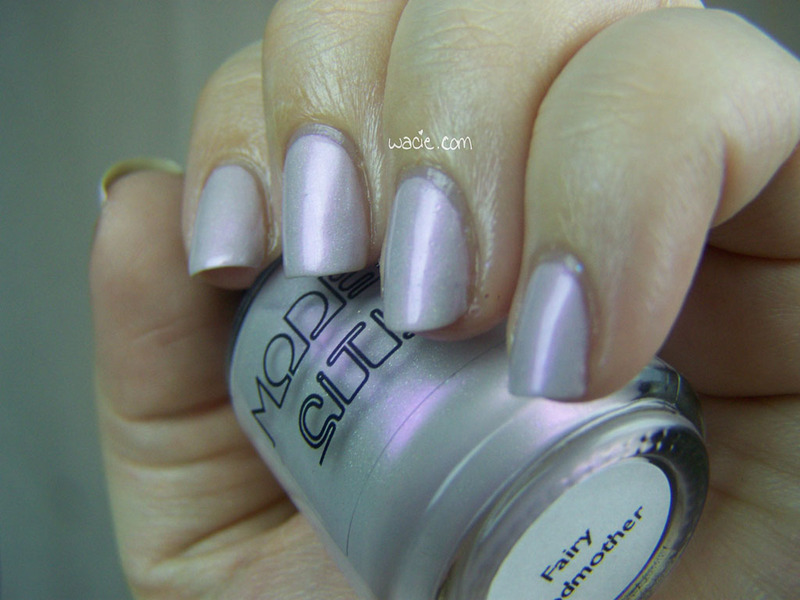 The pearly pink-lilac I’m wearing here is called Fairy Godmother. I’m wearing three coats of it with one coat of Seche Vite. It is a light, innocent, unassuming color until you see this intense pink shine. I’m somewhat afraid I didn’t do it justice, because it’s much stronger than it appears to be in the photos. It is absolutely beautiful. As for the formula, it applies evenly; I could have gotten away with two coats. It dries very quickly. I have zero complaints with Fairy Godmother. It could not be a better polish. 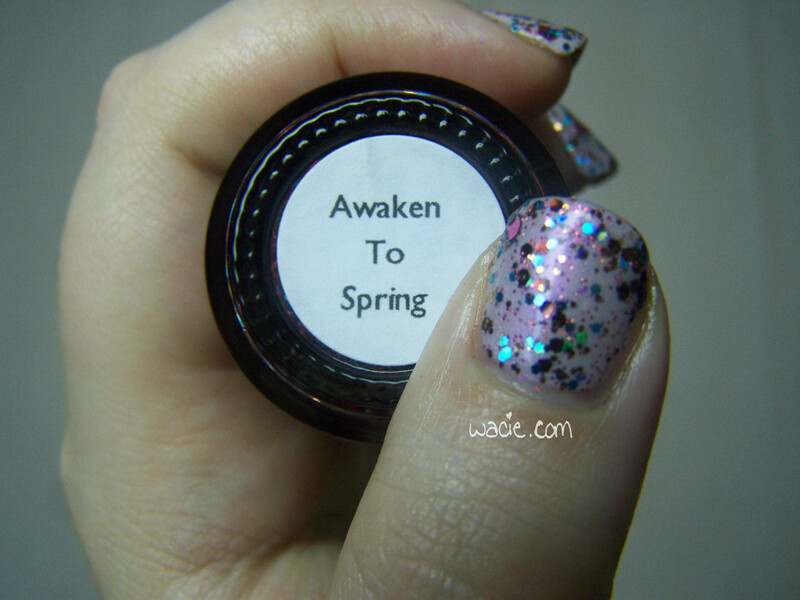 Awaken to Spring is a clear glitter topper with lots of twinkling blue holographic glitter, metallic copper and brown hexes, and pink dots. I’m wearing one heavy-handed coat of it over Fairy Godmother. 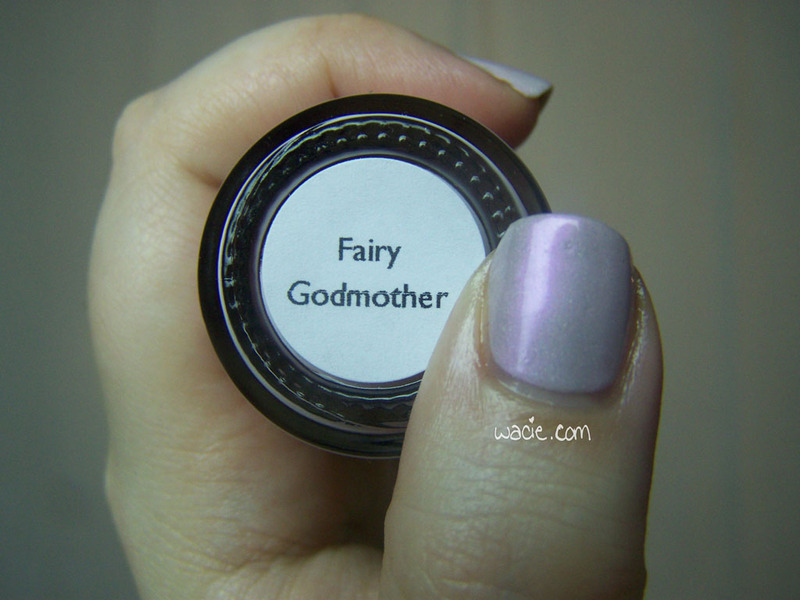 The consistency is similar to Fairy Godmother’s; it also dries quickly, and the glitter goes on smoothly and easily. This melange of glitter is all sparkle. These two colors complement each other very well, but I stole that deep pink luster from Fairy Godmother when I put the glitter over it. Overall, I am totally blown away by these polishes. They are sweet and cheerful colors, evocative of the beauty of springtime. Admittedly, these are the only two from the collection I’ve seen. I cannot wait to see the rest! 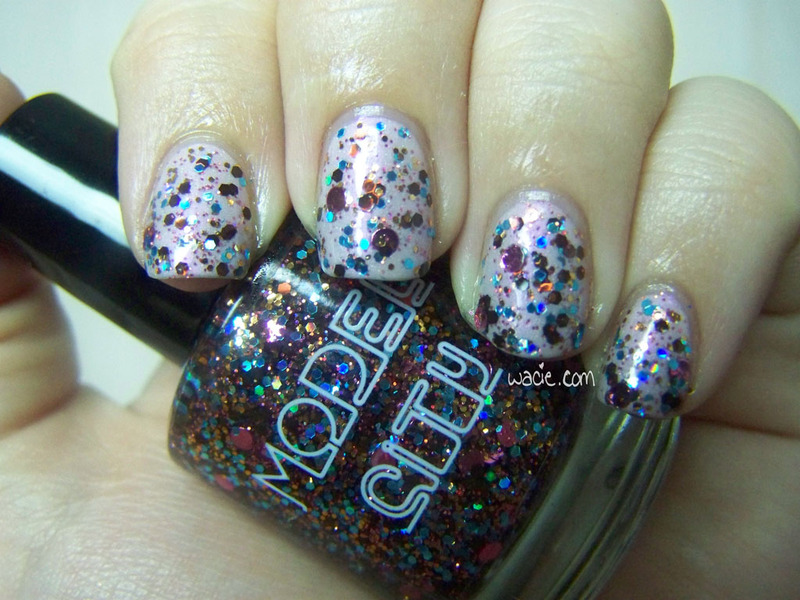 Again, these will be available on March 22 from Model City Polish. Model City is also now taking international orders, so now everyone around the world can get in on this gorgeous set of polishes. Thanks again to Nina at Model City for allowing me the opportunity to review these, and thank you for reading. 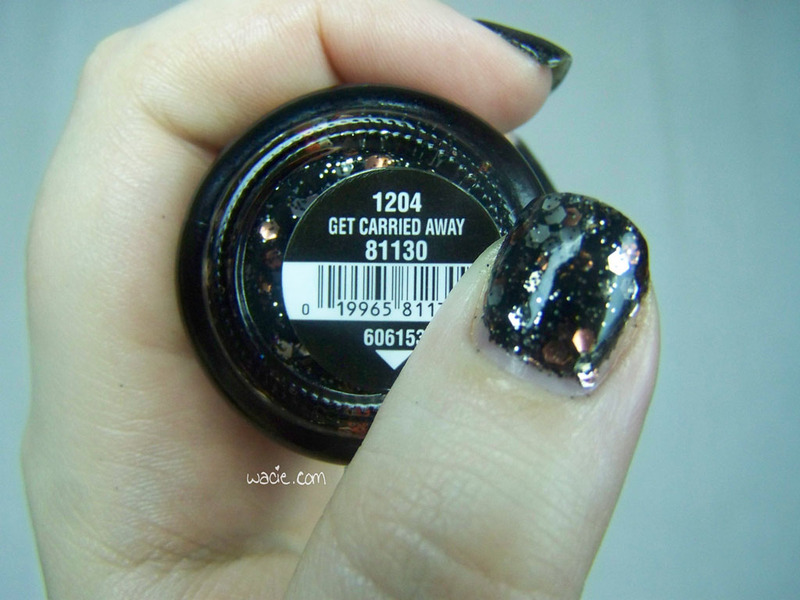 For Manicure Monday this week, I’m wearing China Glaze’s Get Carried Away, a black jelly with silver and copper hexes, black bar glitter, and very fine black hexes. I’m wearing three coats of it here, no undies, under two coats of Seche Vite. I had high hopes for this polish in the beginning. When I first saw it, I’d likened it to a goth older sister of It’s a Trap-eze!, and I had to have it. 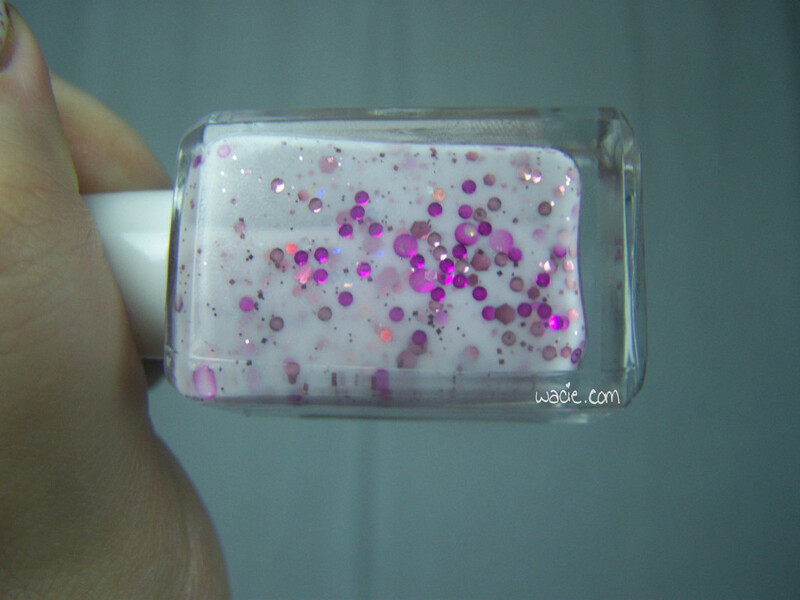 After three coats, it looks exactly like it does in the bottle; I got a full, even coverage with good glitter distribution. However, cuticle cleanup was awful. You can see I have a lot of jagged lines and pointy bits. I went over my cuticle with the brush and just got the fine black glitter all over me. The bar glitter didn’t play nice; it extended over the tips of my nails like eyelashes and I couldn’t get them off, so I ended up trimming them with my cuticle nippers. Same with the large hexes; when I couldn’t get them off, I cut them down. They’re not as smooth as they could be, but I did well enough. Protip: Don’t do three coats of this. You’ll hate yourself. You’ll get the same effect by using black undies and one coat of Get Carried Away. It’s not worth it. I’m sharing with you today one of the most unique polishes in my collection. 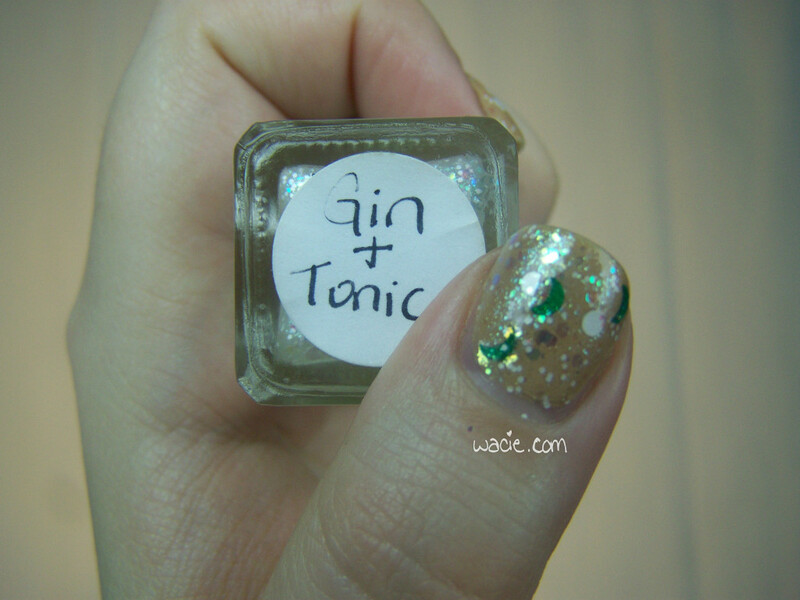 At some point, perhaps intoxicated, I thought that a nail polish mimicking the crisp, bubbly appearance of gin and tonic would be a really cool thing to have. 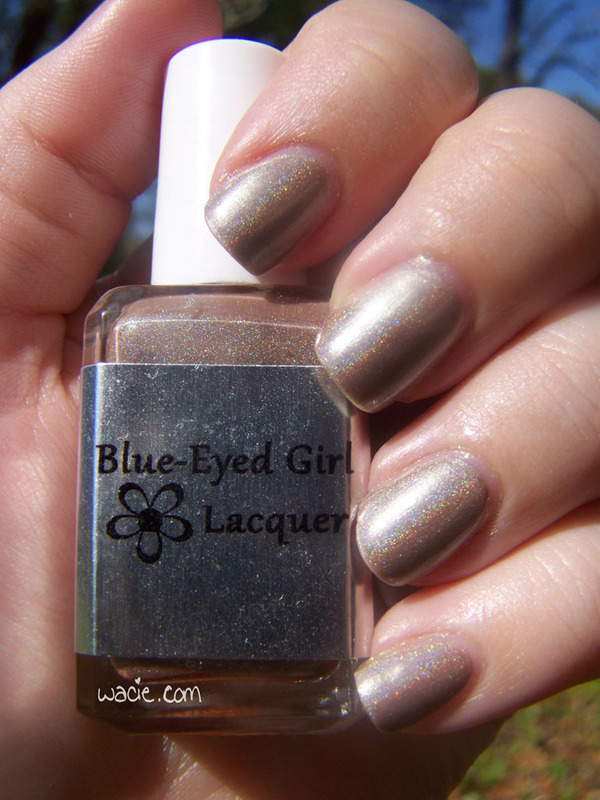 I thought about making it myself, but it would be many months before I started blending my own polishes, so I commissioned a custom polish from Blue-Eyed Girl Lacquer. I don’t think it could have come out any better. I’m wearing two coats of Gin and Tonic over L’oreal’s Broadway Boogie and The New Black’s Black, as well as two coats of Seche Vite. 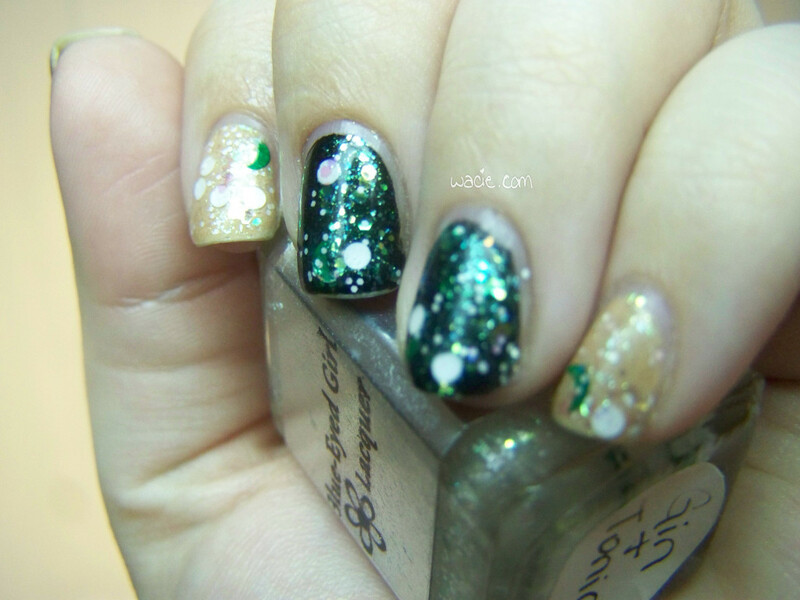 Gin and Tonic is a glitter topper with loads of iridescent glitter, white dots in large and small sizes, and green crescent moons. The combination really does evoke the effervesence of the cocktail. I forget whose idea the moons as limes was, but it was totally genius. I’ve worn this before over nudes, but I wanted to try over black this time, just to see what it looked like. I’m not liking it as much. The iridescent glitters look awesome on the black, but the moon limes get lost. Besides, the iridescents aren’t really the point anyway. They’re meant to add a little something extra to the nail without totally taking it over. I guess this means it’s not as versatile as it could be, but it suits my purpose and my tastes well enough. The only problem with it is that it makes me wish I was drinking a gin and tonic. 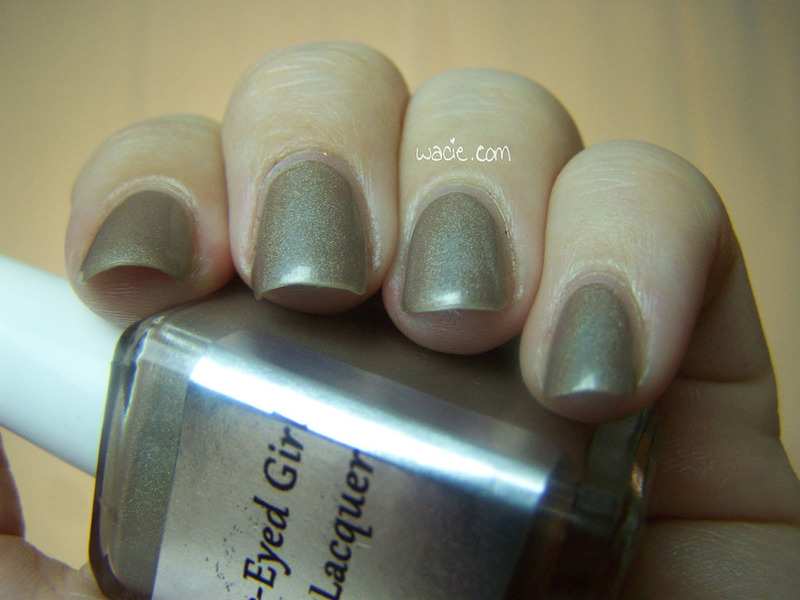 Today I’m bringing you an interesting new blend from Wacie Nail Company. 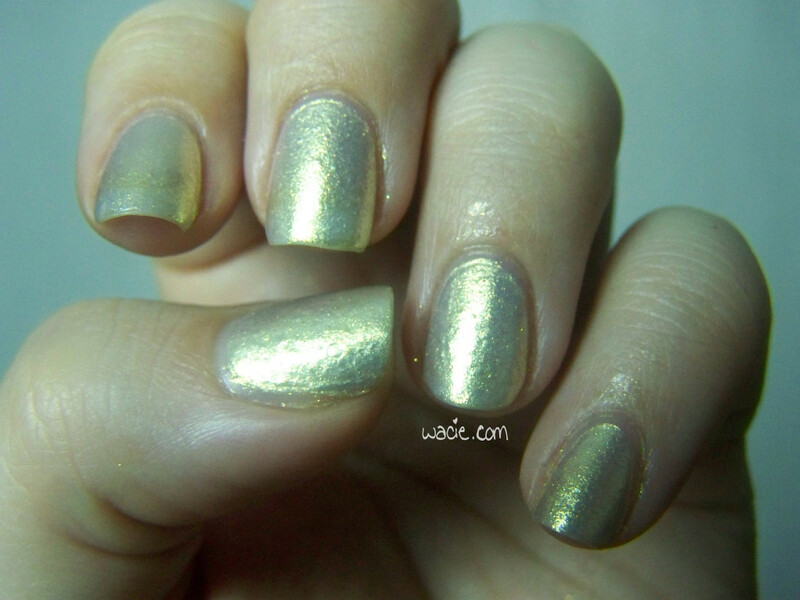 It’s called Gold Rush, and it’s part of Wacie Nail Company’s first spring collection, which will launch in April. I’m wearing three coats of it here with two coats of Seche Vite. Some of the photos were taken in low light and may be blurry, but this is intentional. Gold Rush shines best in low lighting, but looks phenomenal in any lighting condition. Note how it varies from photo to photo; I don’t think it’s the same in any two. 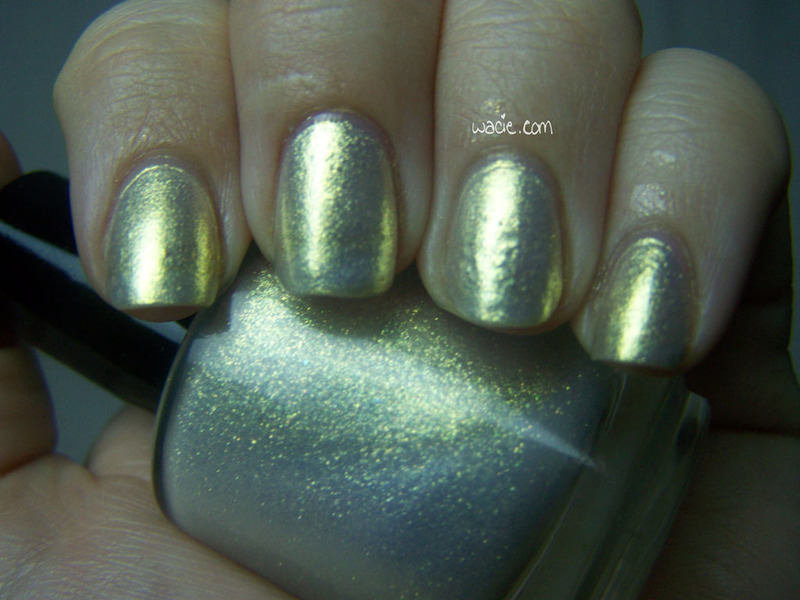 Okay, so Gold Rush is a white polish with boatloads of gold shimmer. 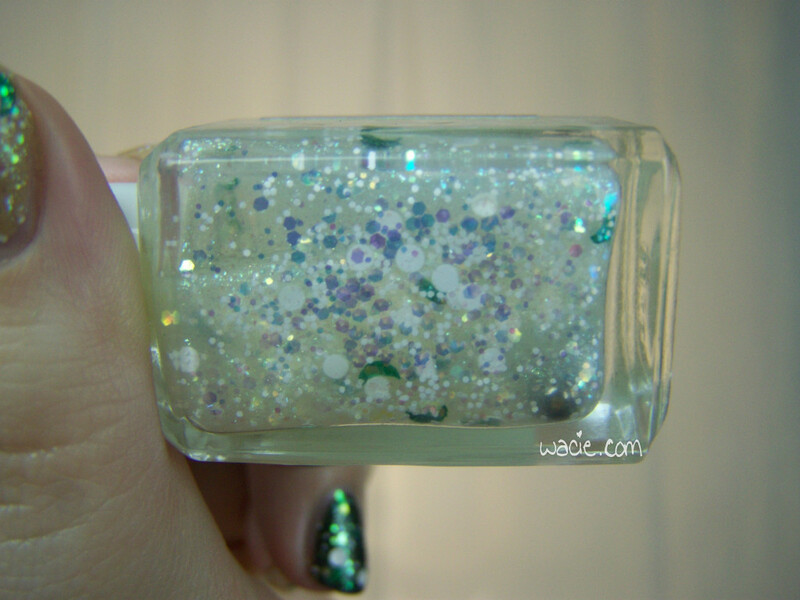 In fact, the white part is only apparent in the bottle; on the nail, all you see is the bright yellow shine. 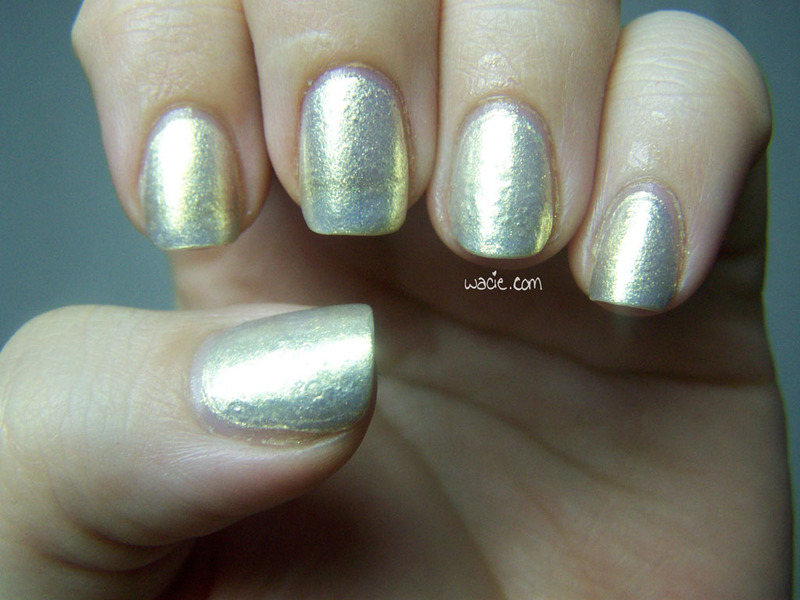 In sunlight, it’s a very pale but absolutely blinding shimmer; in lower light conditions, it’s a dark yellow or gold. I don’t really know what to say about this polish, other than wow. It looks amazing in any light at any angle. One thing I feel like I should mention, though, is that it doesn’t seem to come off easily; cleaning up around my cuticles took a lot of time and effort, way more than any other polish. You can even still see some of the gold shimmer stuck on my skin. I tried like hell to get it all off, and I still missed some. This almost makes me want to rethink putting it in the collection at all, but it’s such an amazing color that the extra work is worth it. As I mentioned, Wacie’s Spring Collection is launching next month, so you’ll be able to grab it then. I don’t feel like I did this polish much justice, and that it’s something you have to see in person to believe. It’s the most unique thing I’ve made so far.